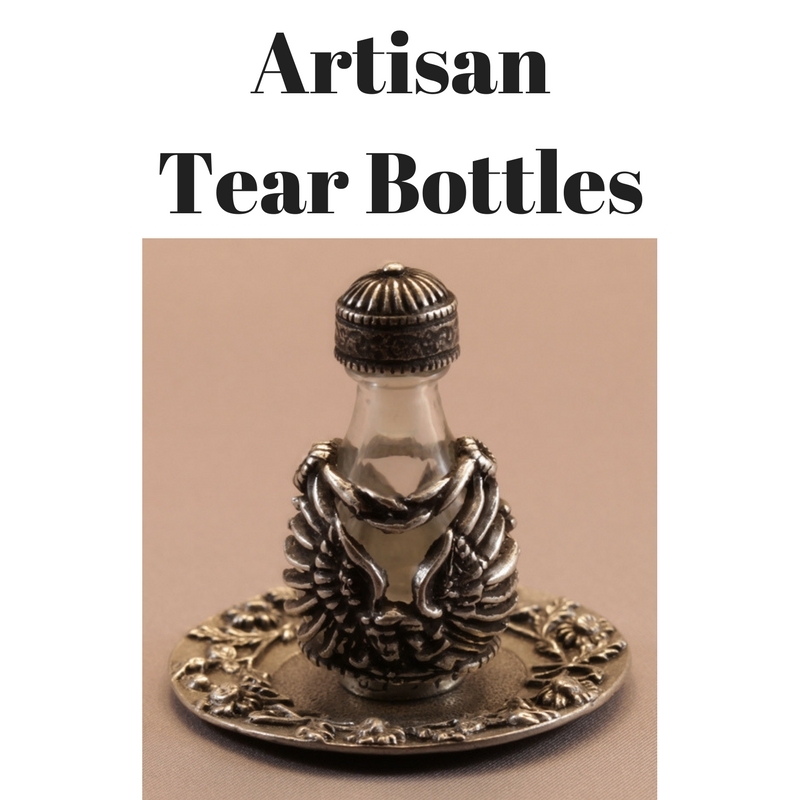 These hand-blown Contemporary-Style Tear Bottles are designed for those who love the ancient tear bottle history and tradition but who prefer more "contemporary-looking" glass bottles. This style is individually hand-blown and flame-worked by a talented glass artist in the U.S. Splashes or swirls of colored glass and a 24K gold luster band around the upper rim and embellish most of the Contemporary style bottles, as you can see from the pictures of each bottle. Natural cork acts as the stopper in each bottle in this style, so tears may naturally evaporate. 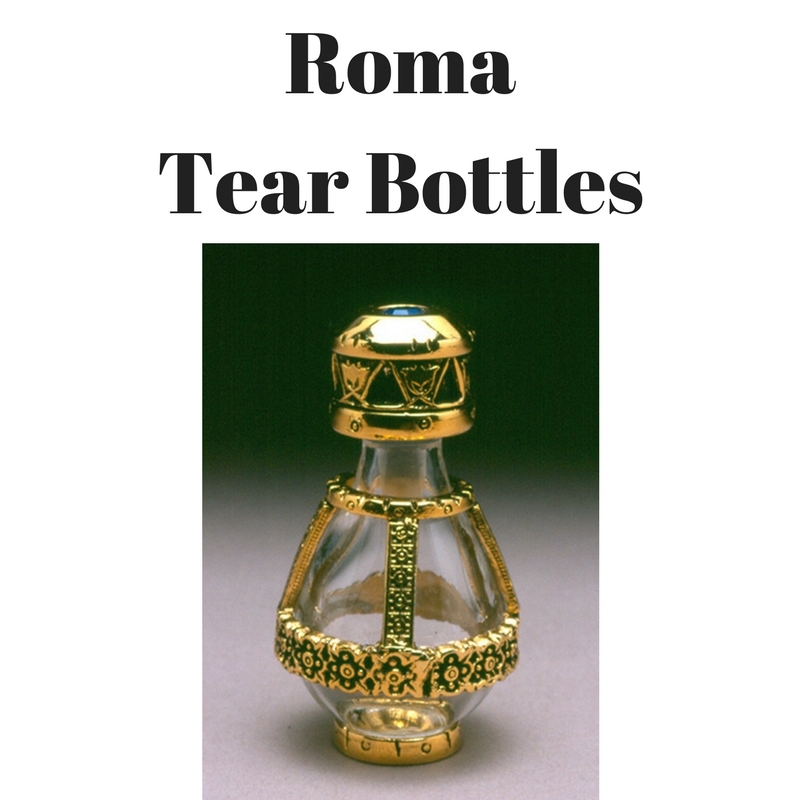 All of the Contemporary-style tear bottles stand approximately 2 inches in height; exact measurements, color, and shape may vary due to the hand-made nature of the bottle. 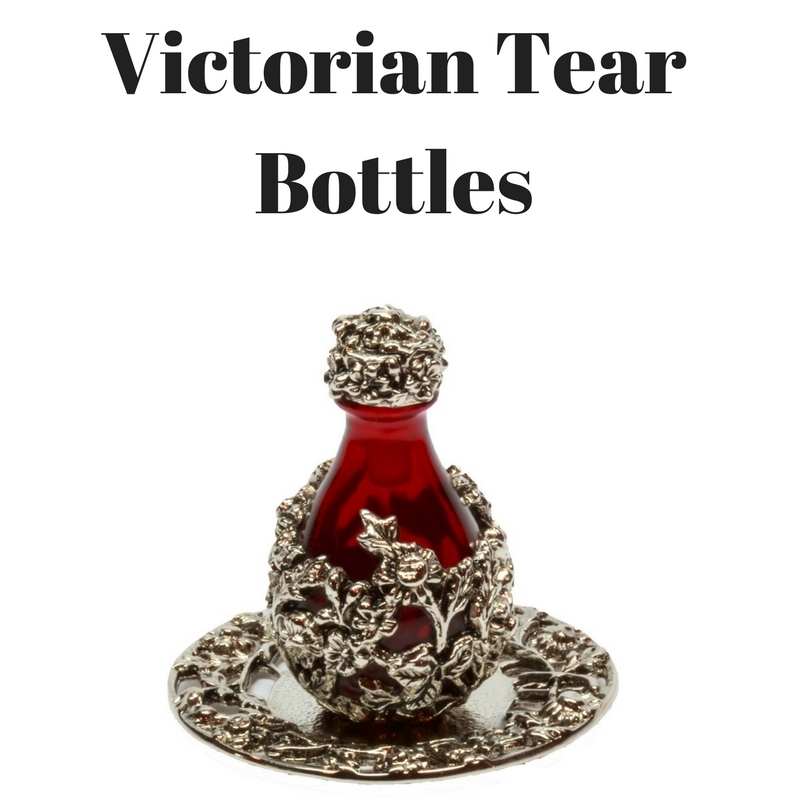 With each tear bottle, you will receive an elegant organza gift bag and a small story card that explains the intriguing history and meaning behind the tear bottle.